Between running a household and a marketing agency, managing my family and this blog, my life in Dallas is very fast paced. My daily uniform is usually comprised of stilettos, a fully made face, lots of bling and a frock fitting a charity luncheon or business meeting. 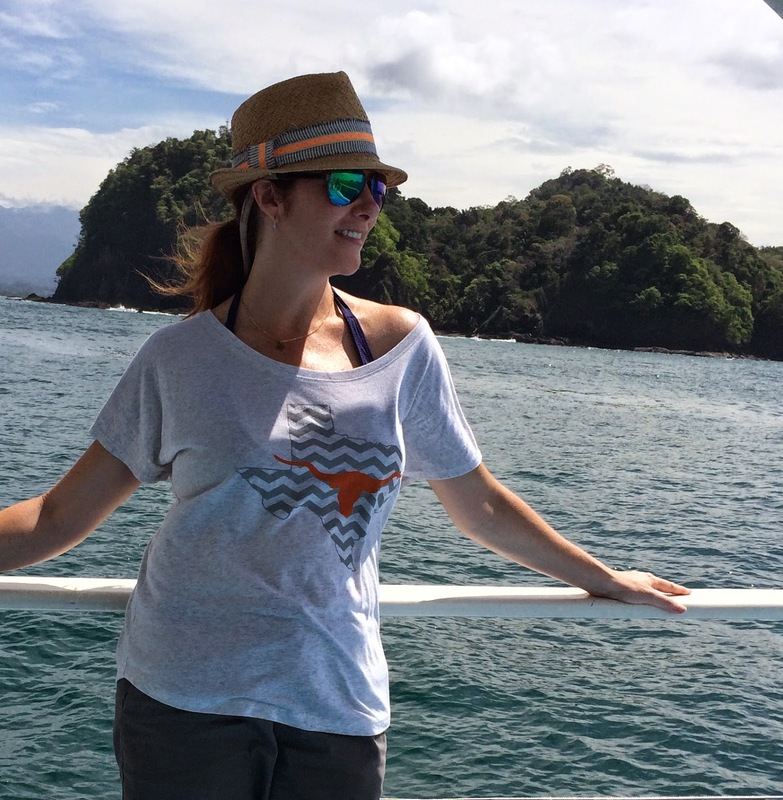 So when my Mother suggested we take a girls trip, I jumped at the chance to go on an eco-friendly excursion to Costa Rica. A whole week of not wearing make up and trekking through the rain forest sounded like heaven to me. After all, you can take the girl out of the country but you'll never take the country out of the girl. 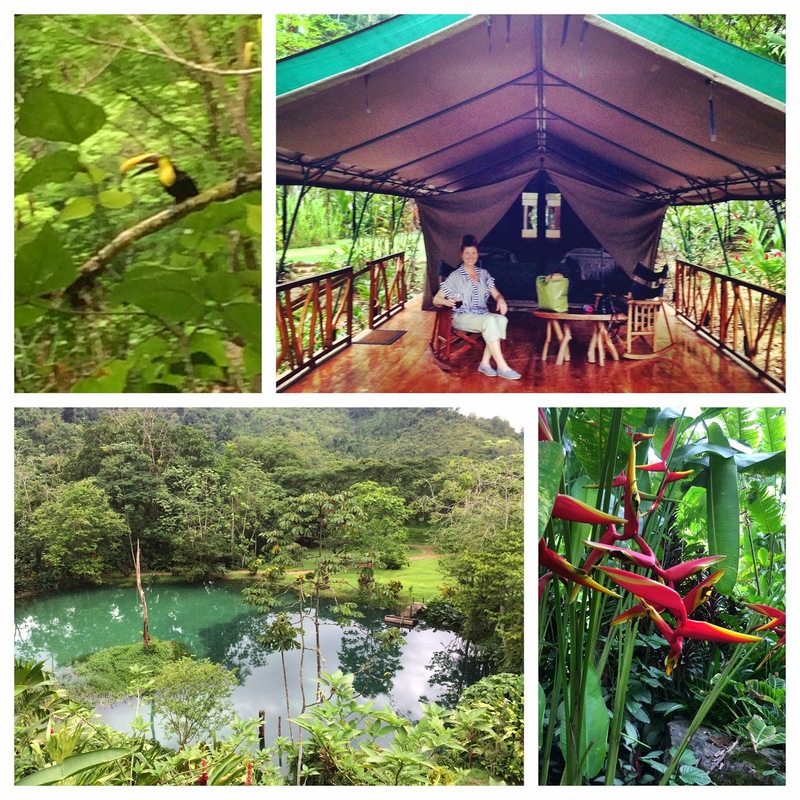 The first "jewel" we visited was the Sevegre Nature Reserve & Spa in San Gerardo de Dota. On the way up to the mountains, we stopped at a coffee plantation to learn how coffee was made. Coffee is one of Costa Rica's main exports and the climate and soil give the beans their superior flavor. It was an interesting expedition, but I was anxious to get into the jungle! After this educational stop we arrived at our destination. Sevegre exists in the "cloud forest". You are so high up in the mountains that it looks foggy all the time, but it is really clouds that are surrounding you. During our stay, we went on a wonderful hike up through the mountain's trails - it was eerily beautiful and spooky at the same time and I felt like Little Red Riding Hood in a Grimm Brothers fairy tale, expecting a big bad wolf to jump out at me. While I didn't see a wolf, I did see toucans, hummingbirds, and a snake (see above). This snake was just a little bitty garter snake kind of varmint so I wasn't scared. I had packed for tropical climates and wasn't anticipating the chilly mountain temps. I didn't have a jacket and only had one 3/4-sleeve shirt. Thank goodness I had thrown in a wrap at the last minute for the plane. It saved me from freezing, and in typical fashion, I was the most over-dressed hiker in the jungle... At the hotel bar, we discovered a local liquor called Guaro - a clear liquid distilled from sugar cane juices that is generally mixed with all sorts of fruit juices. The Guaro Sour became our libation for the week and I even brought home a bottle of the stuff for my husband to keep the Costa Rican spirit alive! 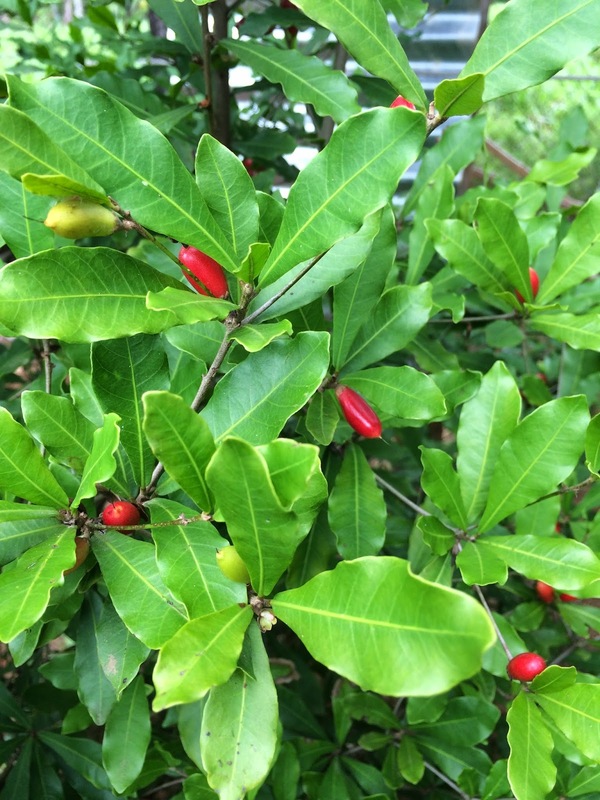 On the way to our next stop, we stopped at the home of a local (Edith) for a delicious lunch and she introduced us to something called "Miracle Fruit". These red berries grow on a bush and once consumed, everything subsequently eaten will taste sweet for the next several hours. To prove her point she had us all eat one, then she sliced up a lemon plucked right from a tree by her front door and sure enough - it tasted like an orange. Several hours later at dinner, my Mother ordered a glass of red wine and tried to send it back saying it was ruined and tasted like port. Nope, the wine was fine. It was the Miracle Fruit throwing off her taste buds. We all got a good laugh over that. The second "jewel" on our adventure was the Rafiki Safari Lodge in the rain forest. Prior to my leaving, my husband was looking over the itinerary and he was most perplexed that I had agreed to stay in a tent... Silly boy, I would never agree to real camping! As seen in the photo above, this stop provided us with a luxurious glamping experience (glamping = glamorous camping). Rafiki ended up being my favorite destination because it is quite simply, paradise on earth. It was also the most frustrating locale because the supposed wi-fi connection didn't work (we were in the middle of the rain forest - what did I expect) but the jaw-dropping scenery and plethora of wildlife made up for the lack of technology. There were toucans, iguanas, geckos and toads galore. I was also introduced to the Sensitive Plant. May is the start of the rainy season and it rained almost every afternoon we were there. Our tour was ready for the weather, with our planned activities in the morning and by the time the afternoon rains hit we were happy to lounge on the deck with a book or cocktail in hand and just.... be. Our big expedition at Rafiki was a white-water rafting trip down the Savegre River. We had to get the the "put-in" spot by taking a four-wheel jeep 30 minutes straight up the mountain on a dirt and cobblestone road. They called the trek a "Costa Rican massage". I looked like a drowned river rat by the time we made it to the end but it was so much fun, I didn't even care. Once again, I had mispacked and didn't bring any water shoes. I am happy to report that my Jonathan Adler TOMS got me through it and have survived the experience none-the-worse for wear. One of the reasons I love Costa Rica so much was that it felt like what Mexico probably looked like 50 years go before it got over-developed and too Americanized. It seems very authentic and untouched while still having many of the amenities foreigners like (i.e., wi-fi and air-conditioning). The government realized many years ago that the reasons tourists were flocking to their country was to enjoy the wildlife, beaches and jungles - so they have made a very conscious effort to preserve them and to educate the public about their importance. 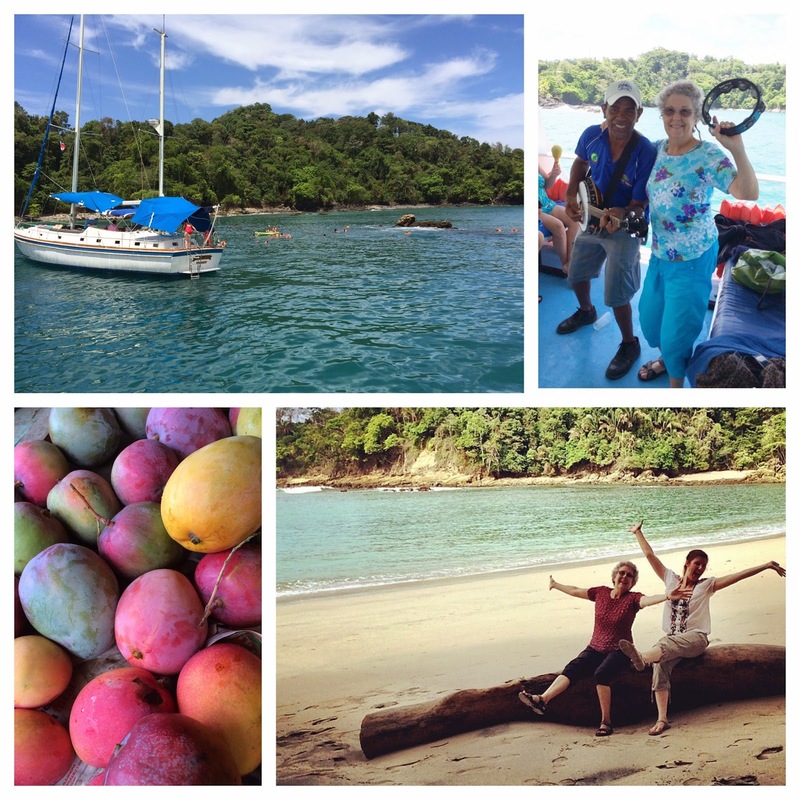 Our third and last stop on this tour was to the beautiful resort beach town of Manuel Antonio. This town was the most "touristy" of all the places we visited and for that reason, it was my least favorite. To me, a beach is a beach is a beach. And yes, the beach at Manuel Antonio is gorgeous. But it's a beach. We did enjoy a fabulous day of snorkeling, saw a school of dolphins, sat slack-jawed for 20 minutes watching a sloth climb a tree, had a blast grazing our way through a local farmers market and had a bowl of the best seafood curry I've ever tasted. While Costa Rica is waaaaaay behind America in many respects, they are very progressive in others. The country abolished its military in the late 1940s and put all their money into education and healthcare. Our guide jokingly pointed out that they are close enough to Panama for the US to let anything happen to them, so they don't really need a military. I am also happy to report that my one year of high school Spanish came back like riding a bike and I had no problem ordering cocktails or asking where the bathroom was. I love taking a guided tour when I visit a country for the first time. It's great to have a seasoned veteran who knows all the best places to go and can tell you the history behind what you are viewing. 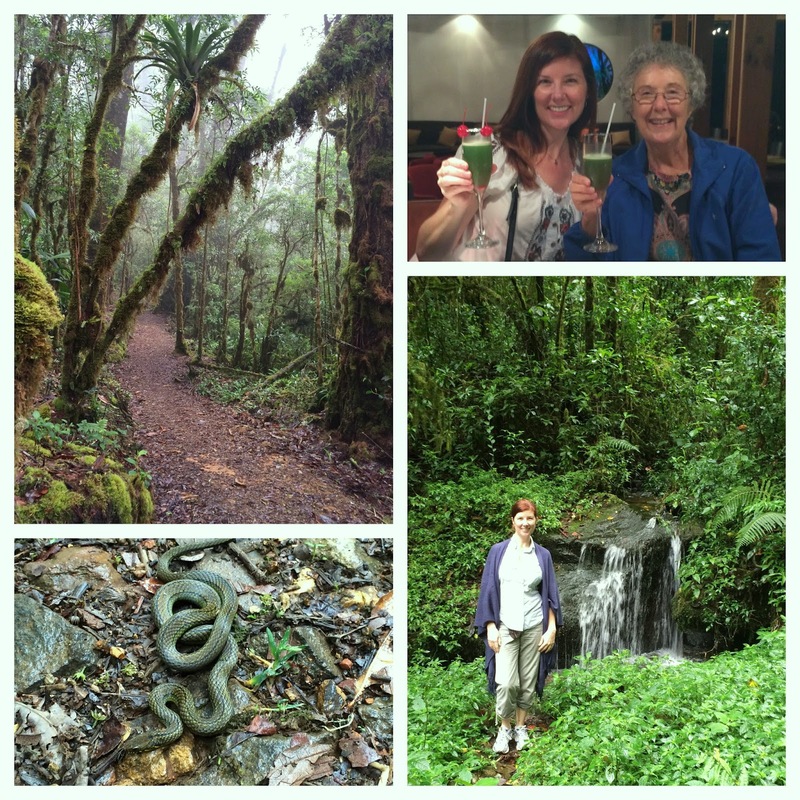 I can't say enough good things about my Road Scholar tour to Costa Rica. Whether you are 8 or 80, this country will prove you with memories for a lifetime. Like the locals say, "Pura Vida!"